The new All Access Cafe at the Rock Hall mixes two of CLE's greatest assets: music and food. 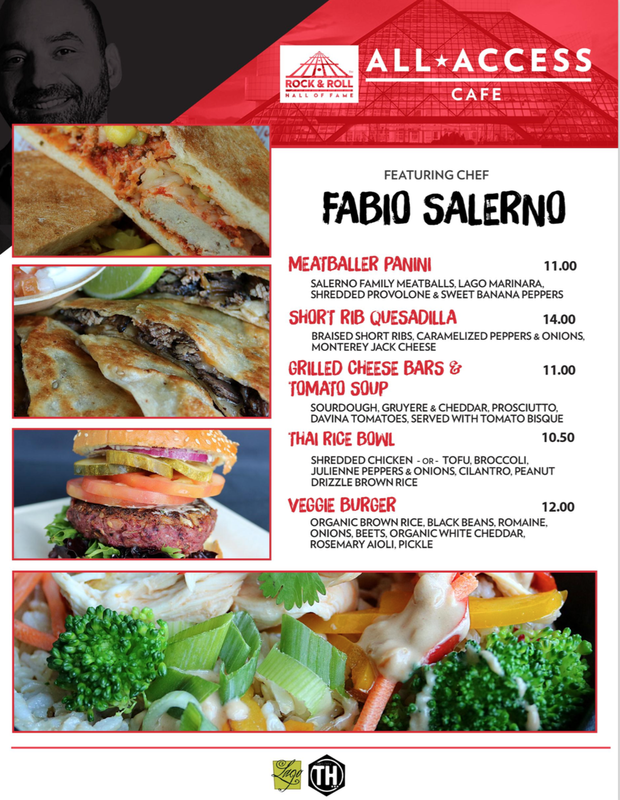 Before, during and after our September 1 yoga event on the Rock Hall's plaza, the cafe will be open for business! 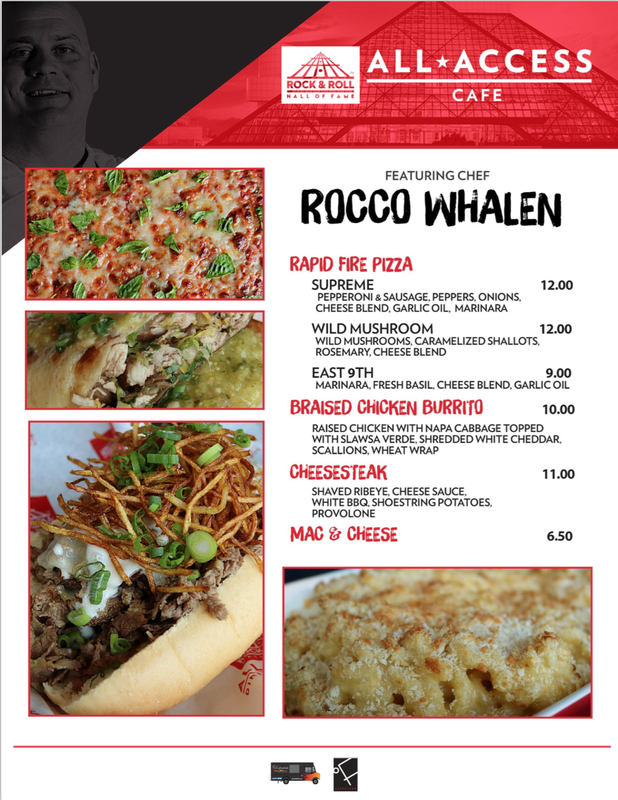 Enjoy grab-and-go food created by Cleveland's renowned chefs Rocco Whalen, Fabio Salerno and Jonathan Sawyer, all of whom have thriving, prize-winning restaurants in Cleveland and beyond. Click through their menus below! Enjoy the cafe as well as food trucks on site after the event, and stick around to enjoy music, connection, food, beer and fun!